Ever since Apple unveiled the iPhone 5S more than a year ago, fingerprint scanners have once again caught the attention of the general public. Synaptics plans to capitalize on this market context, and has announced the world's first notebook touchpad with an integrated fingerprint reader. Back in the fall of 2014, Apple released the iPhone 5S, a smartphone which features a Touch ID fingerprint reader integrated in the home button. Following in Apple's footsteps, many smartphone manufacturers such as HTC and Samsung have since integrated fingerprint readers in their own handsets. In this context, Synaptics announced plans to bring fingerprint readers to consumer grade notebooks by announcing the SecurePad, a touchpad with an integrated fingerprint scanner. Although a relatively new feature on smartphones, fingerprint scanners have been available for many years in business-oriented laptops. 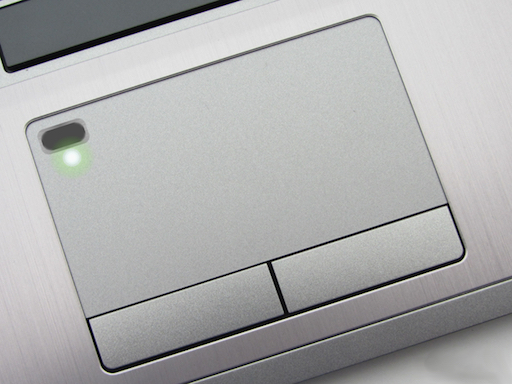 Synaptics, the world's leading notebook trackpad manufacturer, promises to make fingerprint-based authentications much more reliable than what you're probably used to from past experiences by using a capacitive fingerprint scanner. The upcoming Synaptics device will make use of a capacitive fingerprint reader placed under a transparent portion in the upper left corner of the touchpad. Unlike older notebook fingerprint readers, which required users to swipe their fingers over the sensor at a certain speed, capacitive fingerprint readers require a simple touch, and thus are generally more reliable. Apple's Touch ID fingerprint reader is also based on this new capacitive technology. Synaptics says that it is already working with companies such as Google, Microsoft, Paypal, and many others to allow for fingerprint-based payment systems. At the moment, the company did not announce which notebook manufacturers will implement the new technology, but chances are that the first laptops to incorporate the SecurePad will be unveiled next month at CES 2015.